When you need Industry excellence..
With established relationships with partners such as ABB, Siemens, and Control Techniques we can offer you an extensive product range, from motors and drives to encoders and more. If you are looking for AC or DC motors, we've got it covered, from off the shelf items through to custom built motors. We are the UK agent for Sicme Motori, one of the worlds leading companies in design and manufacture of motors. With our extensive product range and electrical engineering know how, Drives and Automation are your first choice for breakdowns, retrofits, spares and new product. With an ever increasing range of AC and DC drive modules on the market, getting the right one for your project is becoming more and more difficult. We supply drives from ABB, Nidec / Control Techniques, Danfoss, Invertek, Lenze, Siemens and many others. Whether the decision is based on price, functionally, or just personal preference, we can apply our extensive experience and independent knowledge to help you select the right drive for your application. 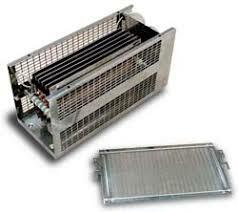 Braking resistors are required on many AC inverter and servo applications. We achieve low cost and rapid delivery through standardisation and the use of common components wherever possible. Ask us about any aspect of sizing, cooling and protection. Cable entry knockouts for side, end or bottom entry. We supply encoders for every application and environment. If you need rapid delivery, drop in replacements - even for obsolete designs, REO tacho mounting, incremental shafted, absolute, programable, semi hollow shaft or hollow shaft options....please call or email. 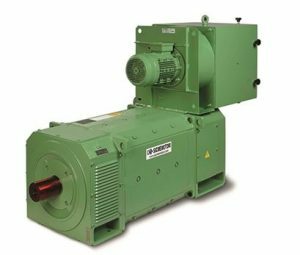 AC motors from fractional Hp to MW, variable speed, permanent magnet, fixed speed use, TEFC or externally force ventilated fan, with encoder and brake options. DC motors from fractional Hp to MW in a wide range of voltages, speeds, frame sizes, IP protection and cooling arrangements. Servomotors with AC designs fitted with resolver feedback or incremental/absolute encoders. Optional brakes & temperature sensors and cables to suit. Drives and Automation are the official UK agents for the Sicme Motori range of motors. Sicme Motori was founded in 1967 in Turin, Italy. With 50 years experience in electric motor design and manufacture it is one of the leading companies in this sector. With two modern facilities in Turin, Italy, Sicme Motori supplies its products in 42 countries all over the world. Sicme Motori supply square frame AC and DC motors from 1 to 3600kW. High torque and high dynamic performance in smaller and lighter frame sizes. With a smaller footprint Sicme AC motors can replace existing DC motors in the same frame size. People often over estimate the maintenance requirement of a DC motor, if you experience a DC motor breakdown however it is often more cost effective to replace it with another DC motor. Softstarts not only offer a number of advantages over direct online starting but can also be a viable alternative to using an inverter drive for motor starting. Modern softstarts offer compact size, some only marginally bigger than a contactor/overload combination, along with built-in bypass facility and overload protection.